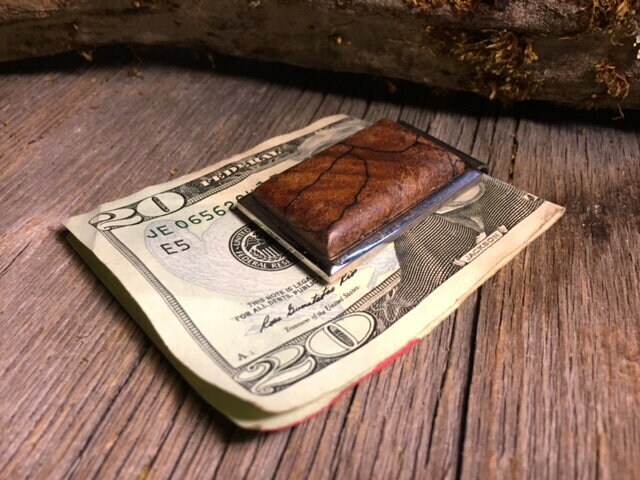 This unique straight money clip features a gorgeous pillow cut of Spalted Maple Burl ,accurately inlaid onto a chromed steel money clip/ billfold. The hand-shaped blank is cut from solid stock, and not veneer, and is meticulously sanded and finished with oil and wax. Each piece is then individually buffed for a finish-like warm glow, resulting in a completed piece without a surface finish that could crack, peel or flake off. 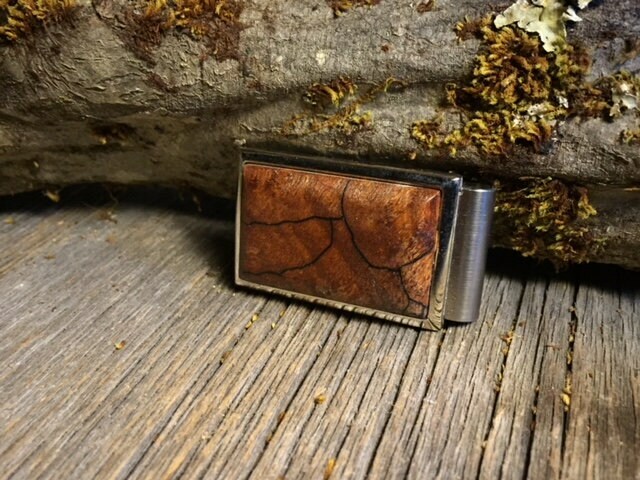 Each clip is unique in texture and grain, and boasts a beauty that only natural wood can achieve. 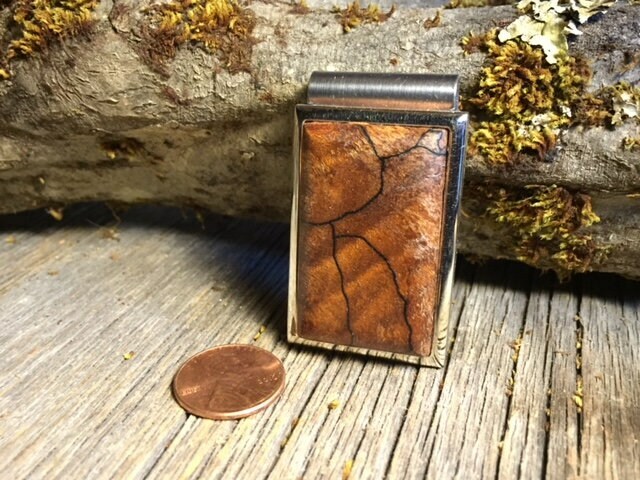 All Burls may include voids and cracks that natually occur and do not affect the stability in this application. 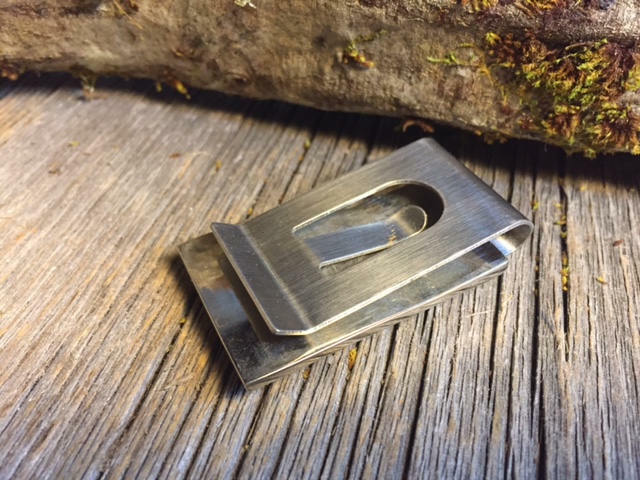 The clip itself has the dimensions of 2" (51 mm) x 1 1/8" ( 28 mm) x 1/2" thick and is chrome plated, for the ultimate luxurious appearance.